Humans evolved to use their resources. We grew societies out of gathering around locations with clean water, abundance of food, and a safe place to sleep. We know about our history, our environment, and our society thanks to our greatest resource of the modern age: information. Mass access to information is a privilege that is unique to this generation of humans. Our libraries and universities are moving online. “Freemium” business models allow millions of users access their valuable databases at no cost. Powerful search engines carve a path to the information we need, accessing a collective mind that contributes endless streams of facts, opinions, ideas, experiments, creativity, history all at once. 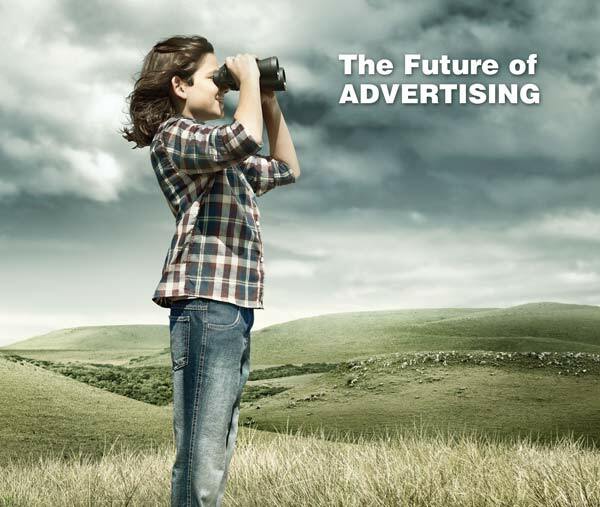 To be successful in business, we have to evolve out of old analog models of advertising. Business cards, brochures, and cold calls are still helpful, but will only get you so far ahead of the competitor who is capturing new clients every day, simply by being easier to find. ALX Creative Marketing Agency can help you recognizes the resources that are available to you, and help you tailor them to fit your business model. Popular social media platforms like Facebook, Twitter, LinkedIn have all implemented paid advertisements and other networking tools for businesses. These ads can source new interest towards your company from a huge pool of users that already trend towards an interest in services like the one you offer. Having a dynamic social media presence is key, and while advertising can help, it won’t capture the audience you’re after unless you know how to keep them interested once they land. If you own a business or work in a high level decision-making position, you juggle much more than what your job title might suggest. Every business owner has a new hat to wear now – an art director and a curator of imagery. Being in the public cyber-eye 24/7 forces you to think about how you want your brand to be seen. How can you stand out from your competitors when restricted to a cookie-cutter master layout? The answers to that question may vary depending on what type of business you offer. Your customers might benefit from tutorial videos, inspiration boards, specials and giveaways, or relevant news/opinion articles, to name a few directions. And the most important ingredient: the flow of fresh content. A serious social media campaign can turn into a full time job for more than 1 person. Luckily, consultations, custom graphics, and campaign management are a few of the services ALX offers to help you plan your next move. Customers are out there, looking for business services just like yours. Whether or not they actually land on your page is a matter of luck and chance, leaving you merciless to the power of the Search Engine. Well, maybe it can seem that way sometimes, but what we know about Search Engine Optimization could change your fate. Search Engine Optimization has been high on the list of business consulting jargon for a long time. Although parts of how it all works is still a mystery, years of research have revealed certain patterns and hacks that earn you the approval of the highly revered Google Robots. Anyone can be an SEO expert these days, since there are tons of articles and tools readily available to those who seek them. Moz is a great resource for everyone, with basic free and paid advanced tools to help you track and improve your website’s performance. Google Analytics and Google Adwords also offer users helpful resources for tracking page visits, landing keywords, and other tools to help you attract relevant interest. If you need help embarking on your SEO crusade – we can set you up with a step-by-step plan, and ongoing supervision to keep you on track. You might not think that your business model translates across the spectrum of multi-media, which includes everything from YouTube videos to installation art. (Like this sculptural advertisement for ‘Game of Thrones‘). Creative and abstract thought is one thing humans can do that the Future Robot Workforce will never master. Linear, analytical thought will only get you to the points where others have already explored, drawn a map, and moved on. ALX Creative Marketing Agency offers multimedia services to get you seen, heard, and remembered. Get in touch with us to learn about our new video services. Take advantage of human nature, and use our intrinsic social wiring to meet people who could become a valuable business connection. Websites like Meetup will get you in touch with people who share your interests and want to chat about them. Local colleges often have free lectures with guest speakers. Pecha Kucha nights, where anyone can have the stage to share an idea, have infiltrated 700 cities across the globe. Learn something new, expand your interests, talk to your contemporaries, and hey, you might even spread the word about your business to someone who’s been waiting to meet you. There’s no arguing with time tested methods of advertising. Business cards, cold calls, and direct mail postcards are all helpful. Captivating, original graphic design is the secret ingredient to keeping those items in the wallets and briefcase of your associates. If you distribute marketing materials that are visually appealing, feel precious, and spark inspiration, prospective clients will hang on to them 10x longer than they would something simple, cheap, and boring. ALX Creative Marketing agency offers premium graphic design packages at a flexible price. Our creative employees have the experience and portfolios to prove our point. Quality design will generate quality interest from higher-end customers. Check out our design portfolio, and start dreaming about how a new vision can enhance your brand.